Terry Whitehat remembers gathering at the community hall in Navajo Mountain each election day, where Navajo Nation members in this remote Utah community would cast their ballots. The tribal members would catch up with friends and family and eat food under the cottonwood trees in the parking lot. So when Whitehat, a social worker who has lived most of his life on the reservation, received a ballot in the mail for the 2014 elections, he said it caught him off guard. The county began conducting elections by mail in 2014. Members of the Navajo Nation who live in the area could no longer physically vote in the village. If they wanted to vote in person, they would have to drive to the only remaining polling place at the county seat in Monticello, a 400-mile round trip from Navajo Mountain. Whitehat and a half-dozen other Navajo community members, along with the Navajo Nation Human Rights Commission, sued San Juan County. They claimed the move to a mail-only election disenfranchised Native Americans, especially those who don’t read or speak English and had limited access to mail. They said it also violated the Voting Rights Act and the 14th Amendment. Across the country, other tribal members have filed similar suits alleging that state laws and county election practices intentionally make it harder to vote on reservations. Local jurisdictions don’t always provide translators or polling locations on reservations, and tougher state voter identification laws have created problems for those who don’t have birth certificates or only have tribal ID. “But it’s hard to do when everything you’re trying to have your people participate in, they put stumbling blocks,” Semans added. Although census figures show Native Americans only made up about 2 percent of the American population in 2014, academic experts argue they have greater influence than their numbers would suggest. Even though it appears Native American voter participation has increased as a whole, many challenges remain on reservations , where nearly a quarter of the population lives. Arizona has the third-largest Native American population in the country. The 22 tribes in Arizona cover about a quarter of the state’s land. Native Americans in Arizona have long struggled with voting restrictions, including a literacy test at the polls until 1972, which prevented some Native Americans from voting. In the latest battle, the Democratic National Committee and a group of voters representing several minority groups, including Native Americans, sued the state and Maricopa County – the state’s largest county. The lawsuit accuses officials of voter suppression after the county drastically reduced the number of polling places, and people waited for hours to cast their ballots in the March 22 primary. The state also passed a law making so-called ballot harvesting – when people collect marked ballots for others and return them to elections officials – a felony. Peterson Zah, former president of the Navajo Nation, said the new restrictions will make it more difficult for the 100,000 members of the Navajo Nation in Arizona to vote. Lenora Fulton, the Apache County recorder, said many rural residents on the reservation collect ballots from their neighbors and drop them off when they drive to town. The lawsuit asks the U.S. District Court for an injunction to block the law from taking effect. The suit also aims to force elections officials to count out-of-precinct provisional ballots. The plaintiffs claimed the state rejected a disproportionate number of provisional ballots cast by Native Americans. In a state election in May, Mikah Carlos, 22, said a poll worker stationed at the Salt River Pima-Maricopa Indian Community told her that they could not accept tribal ID cards to vote. Carlos, the head of the community’s youth council, said she cast her ballot only after other poll workers came over to help. Carlos said the poll worker, who wasn’t Native American, should have received better training – the state law allows many forms of tribal ID. Native Americans make up about half of the roughly 15,000 residents of San Juan County, Utah according to census data. Many lack access to reliable transportation, and residents face a poverty rate that’s twice the national average. Floods regularly wash out roads, and tribal members may have to drive well over an hour to get to the post office. San Juan County includes part of the Navajo Nation, the largest Native American reservation in the country. The county has been engaged in a court battle for years over redistricting. In February a judge ruled that the county must redraw its County Commission boundaries. The Navajo alleged the county had disenfranchised American Indians. 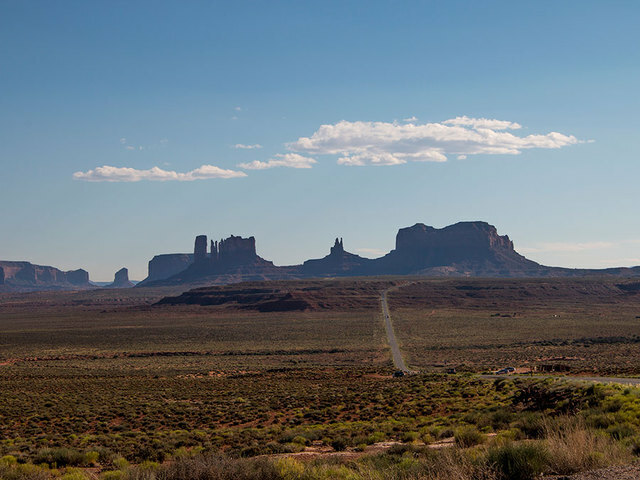 When the county moved to voting by mail in 2014, officials closed polling locations in rural areas, including all six on the reservation which disadvantaged Navajo-speaking residents, according to the 2016 lawsuit. However, turnout during general elections remained unchanged in 2014 compared with the previous off-year election in 2010, according to a News21 analysis of county data. Many Navajos, especially elders, do not read or speak English well, Whitehat said. If they could not get someone they trust to translate their mail-in ballot for them, they would have to travel hundreds of miles to have ballots translated or vote in person with the aid of an interpreter. The only remaining polling place in 2014 was Monticello, a little more than 200 miles away in the northern portion of the county, where the majority of white residents live, according to the lawsuit. More than 160 miles away on the other side of the county, Kenneth Joe pulled up to the Montezuma Creek post office in a Chevy sedan, its plates reading “NDNJOE.” The retired teacher had stopped by on a June morning to check his mail. A pile of fliers and magazines spilled out. Joe tossed the junk into the wastebasket. Ryan Benally, who works for the Utah Navajo Trust Fund and has been involved in election campaigns in the county, said he believes the change was positive. His mother, Rebecca Benally, became the first Navajo woman elected county commissioner in San Juan County in the first election to use mail-in ballots. The district she now represents is predominantly on the Navajo reservation. The county filed a counter suit and in early August, a federal judge issued a temporary injunction ordering the county to reopen all six of the polling places on the reservation and to make translation services available at those sites for the November election. The Pine Ridge reservation in South Dakota was the poorest area in the U.S. in 2014. Ninety-seven percent of the residents live below the poverty line, the average yearly income is less than $4,000. There is a long history of litigation over voting rights on reservations in South Dakota, especially in Pine Ridge. It took a lawsuit in 1975 for residents of part of Pine Ridge to be able to vote for county officials, and four suits have been filed over access to voting on the reservation by Native American plaintiffs since 2005. Tom Poor Bear, vice president of the Oglala Sioux Tribe, and other residents of the portion of Pine Ridge that falls within Jackson County filed the most recent suit in 2014, arguing that Native American residents had to travel about twice as far to register and vote early than the county’s white residents because there were no early voting locations on the reservation. County officials had said they didn’t have enough money to open a satellite office. But there were funds available from the Help America Vote Act, which was established to expand voter access to groups like Native Americans. The county eventually used that money to open a satellite-voting site on the reservation this year. Wizipan Little Elk, the outreach director for Four Directions, a Native American voting rights advocacy group, said Native Americans have a lot at stake when it comes to elections, making it even more imperative that they have a voice through voting. “The quality of health care that we receive is dependent on federal appropriations and management of federal programs. We have in many senses a literal life-or-death interest in these issues,” he said. The National Council of American Indians operates Native Vote, a national nonpartisan initiative to mobilize Native voters both on and off reservations and advocate for their voting rights. Jacqueline Pata, the group’s executive director, said she hopes to see more engagement among communities this election. “Do I buy food? Or do I use the gas to go vote? Do I pay my light bill” she said. As the sun set that Saturday, Gill and another volunteer called out to some teenagers asking them if they’re 18 and whether they’ve registered to vote. This report is part of a project on voting rights in America produced by the Carnegie-Knight News21 program. Reporting was done in collaboration with DecodeDC, a podcast produced at the Scripps Washington Bureau.